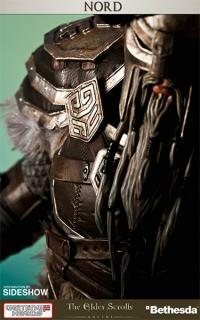 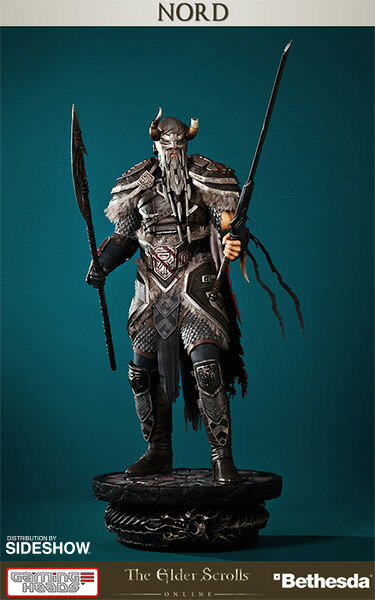 In Elder Scrolls lore, the Nords are viewed as a fearless race of natural-born warriors, who strike fear into the hearts of their foes with their ferocious fighting ability. 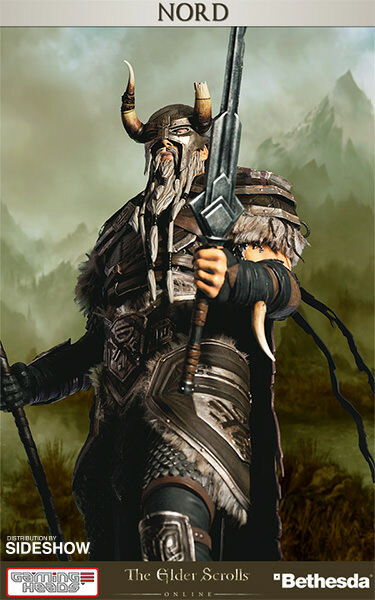 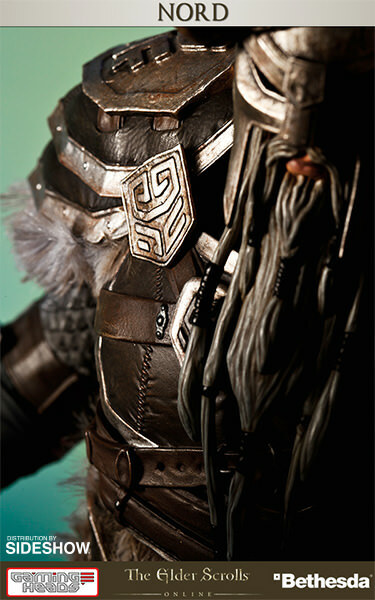 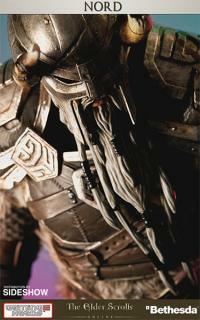 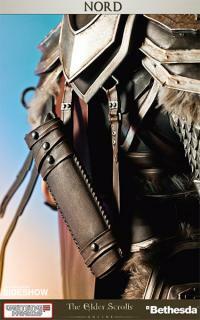 Hailing from the eastern parts of Skyrim, the Nords are the established leading race of the Ebonheart Pact. 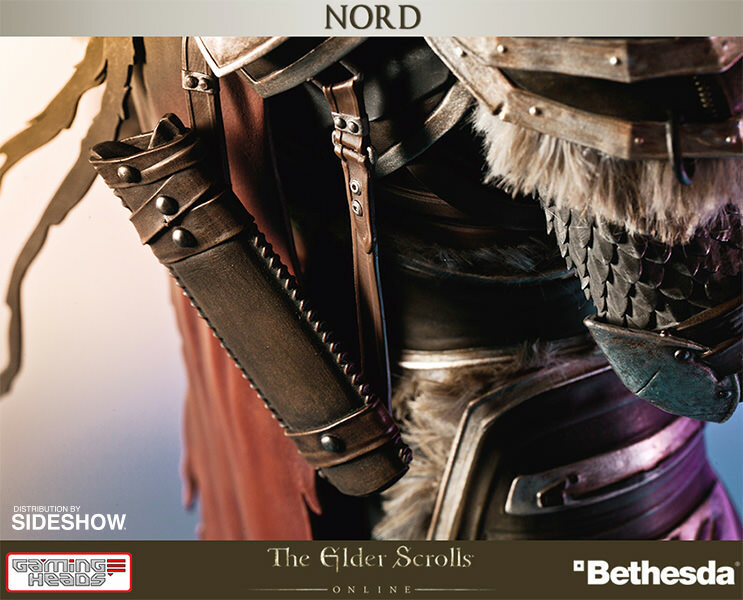 In an unlikely partnership with the Dunmer and the Argonians, the Nords seek the defeat of the Empire, to collectively preserve and maintain their precious homeland. 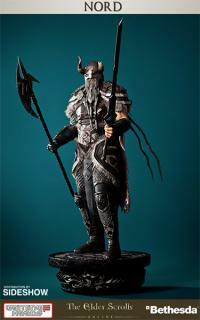 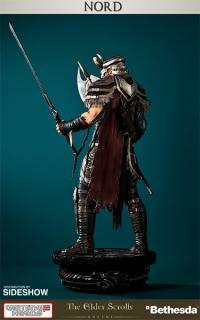 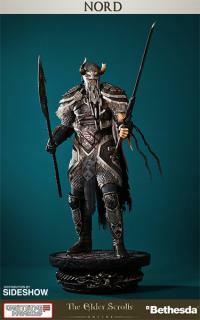 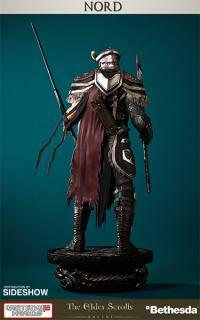 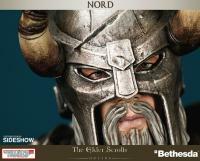 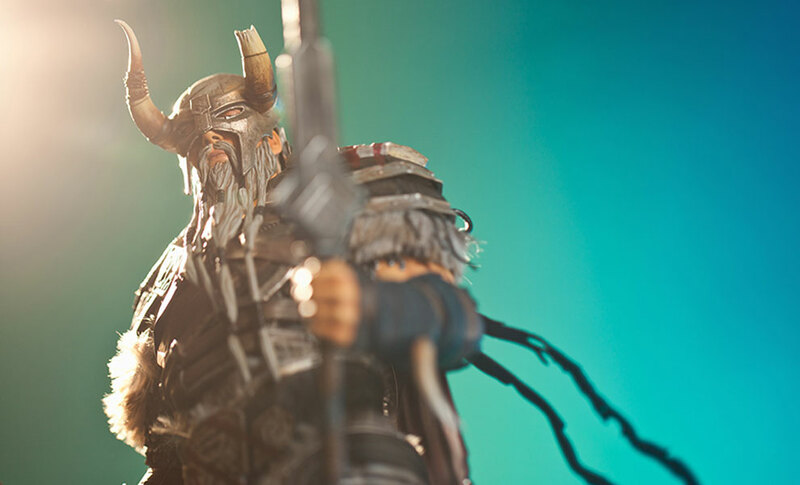 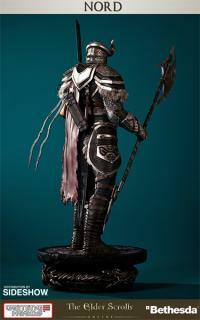 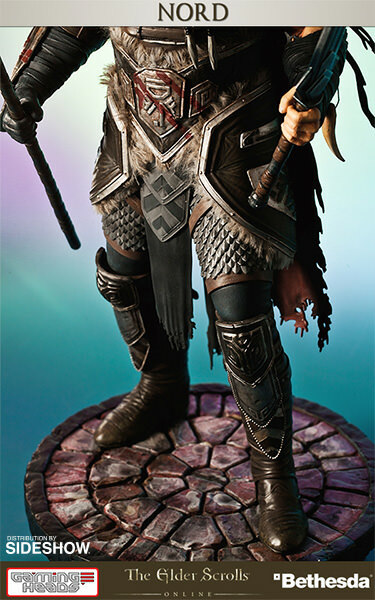 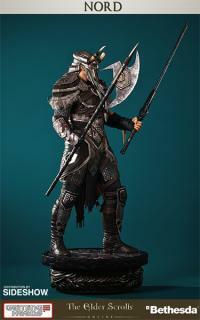 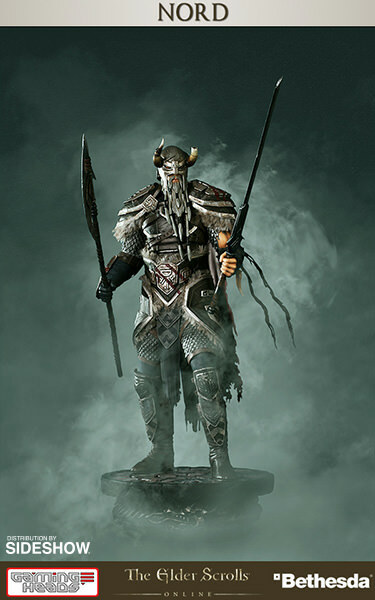 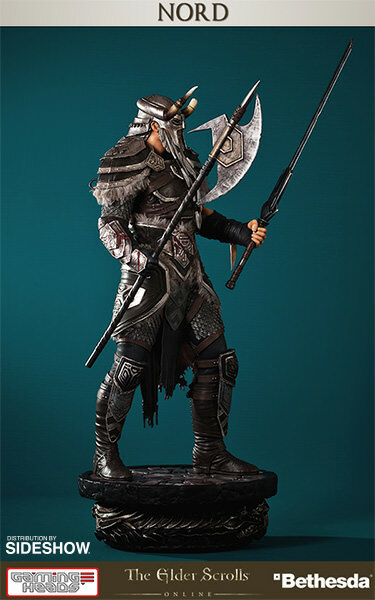 Sideshow Collectibles and Gaming Heads are proud to showcase the third release in the Heroes of Tamriel range from The Elder Scrolls® Online – the Nord! Captured straight from his striking appearance seen in-game, the heavily armored warrior brandishes Nordic weaponry in both hands, as he stands ready to do battle. 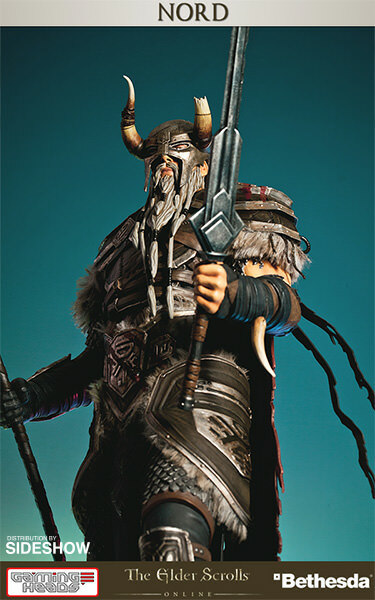 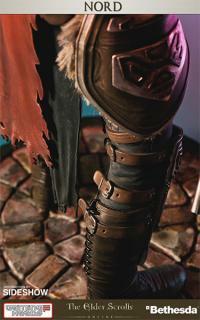 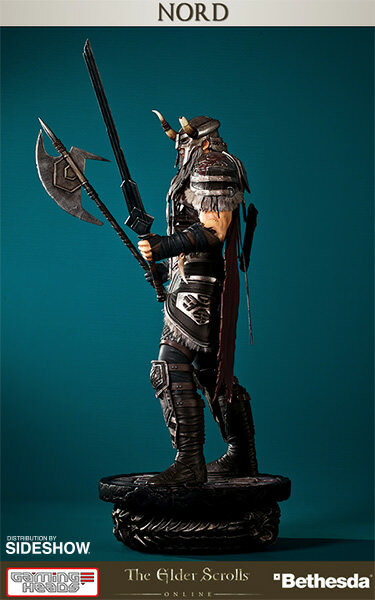 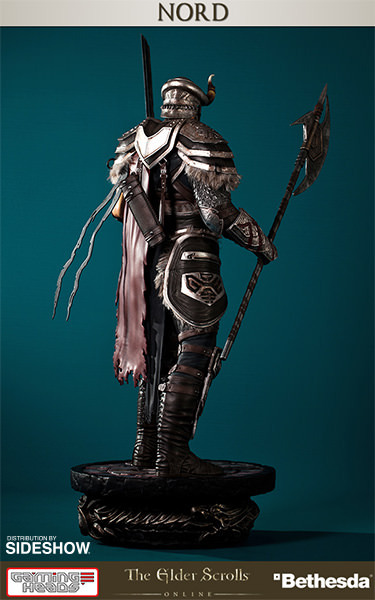 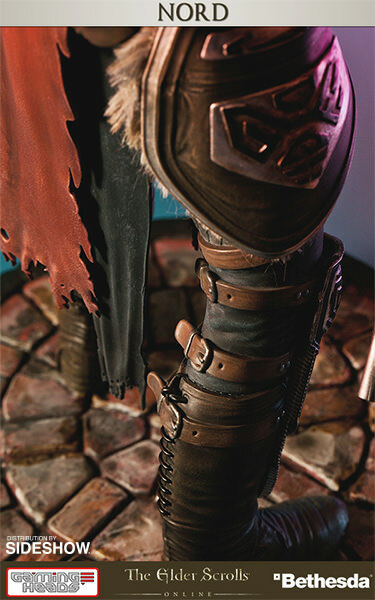 Fine detail has been added to the statue, with the addition of real fur trim in various places on the Nord's armor to further add to the authenticity of the character. 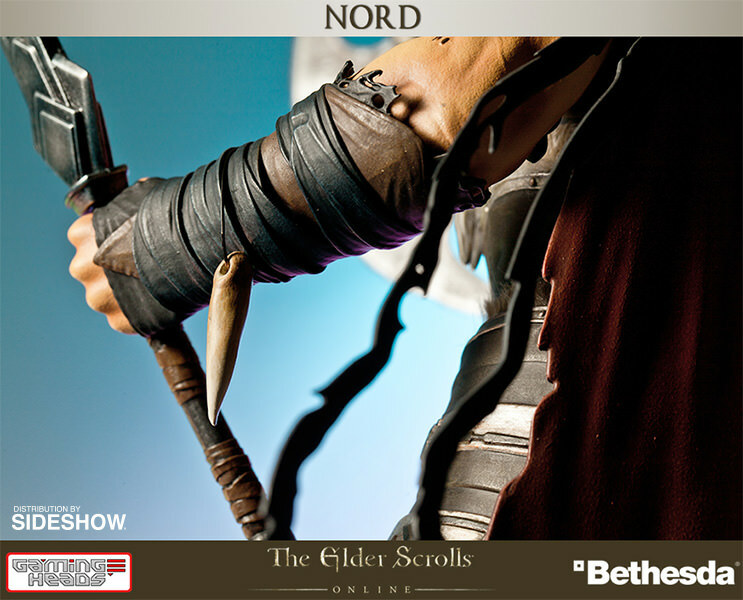 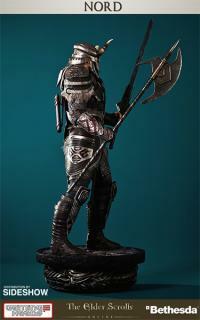 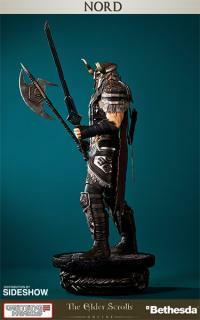 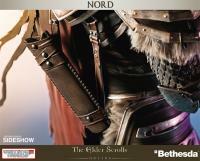 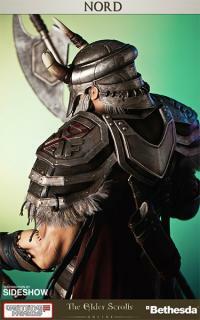 At 1/6 scale, the Nord stands a powerful 19 inches (from the tip of the sword to the bottom of the base). Each statue comes in deluxe full color packaging and includes an individually hand numbered base and a certificate of authenticity.